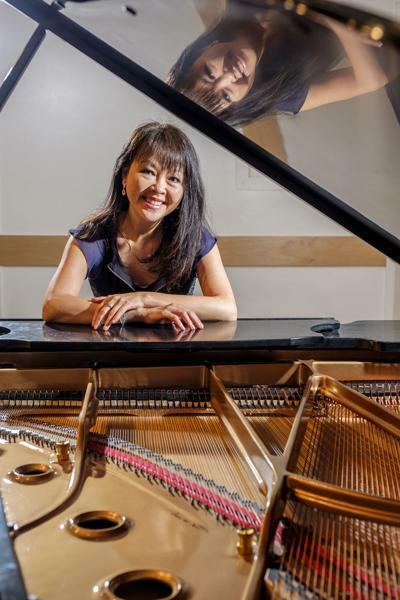 Dr. Siu-Lan Tan will talk at Teton County Library about the music of films. It is widely understood that movies are to be watched, but many of us have also experienced the immersive delight of a well-tuned soundtrack. Even silent films, which suggest that the visual has historically preceded the auditory, weren’t exactly “silent.” Live scores accompanied those early works, and cinema has always been a multisensory medium. On Friday, Siu-Lan Tan will talk about the psychology of how music influences our cinematic experience as part of the Grand Teton Music Festival’s Winter Festival. “How does music play a role in shaping a story of a scene?” That is the question Tan, who holds a doctorate in psychology, seeks to answer with her research. Tan’s studies illuminate the complexities of our multisensory processing when we watch (and hear) a film. You might be surprised by how soundtracks capture our attention — and there’s more to it than simply heightening our emotional responses. Film music exceeds the supplemental role to which it is frequently relegated. Tan’s work suggests that music is not merely the accompaniment to a scene. Rather, image and sound play an intriguing duet that warrants a closer listen. The nature of Tan’s interdisciplinary work can be attributed to her propensity for seeing the connections between seemingly disparate or discrete worlds. “I don’t believe in some divisions, like the division between science and art. There are so many links, so many interconnections,” she said. Tan’s roles as a professor, writer and researcher reflect her interdisciplinary interests. She uses a kaleidoscope as a metaphor to further describe the magic of multiplicity. What is inspiring about Tan’s work is her call to sensitization. The sound of a film can change the way we watch it, and learning how to really hear a film expands our experience. Pay attention to the instruments used to portray different feelings or characters or the effects employed to propel the narrative. In the movie “Up,” Tan notes that the montage at the beginning of the movie is in a major key the whole time, usually a register used for happy or positive tone. But for those of us familiar with this heart-wrenching segment, we might remember that while the theme never changes to a minor key, the differentiated tempo and instrumentation clue us into the scene’s somber conclusion. Tan’s lecture will open your ears to a new way of enjoying movies. We live multimedia existences, and that’s not just because of booming tech. Our sight, sound, smell, taste and touch work together to (literally) make sense of this world. Tan reminds us to tune in. Ouree Lee likes to watch and make movies. Contact her via columnists@jhnewsandguide.com.